rocker roller suspension, LED lights, multi roller drive on set up, 3 speed strap winch and heavy duty jocky wheel. rego available on the spot!. Trailer City is a family owned business with over 30 years experience in Trailer manufacturing. 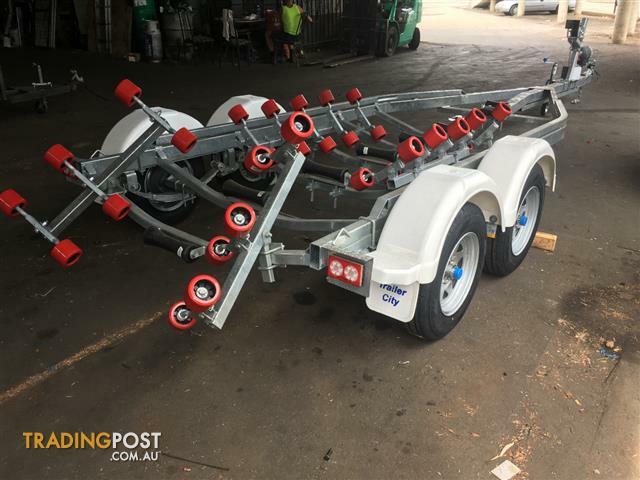 We pride ourselves on our superior quality, workmanship and all our trailers are Australian Made. 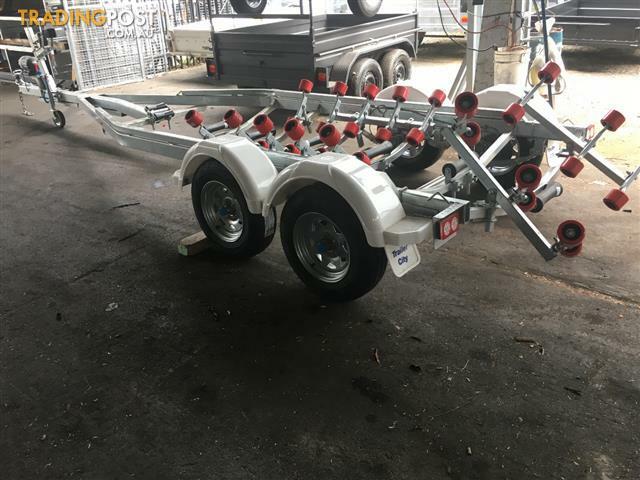 Trailer City also provide parts, accessories, service and repairs and also manufacture custom trailers to suit your job needs. 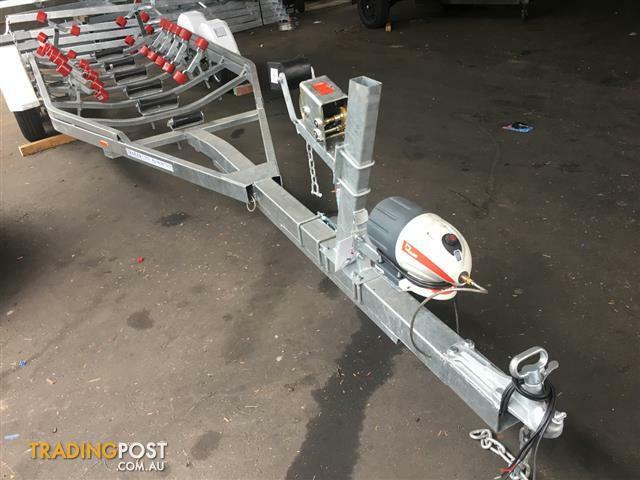 Find Trailer City at Unit 2, 5 Clyde St, Rydalmere, NSW. 2116.